Grab your favorite book and slide these sophisticated readers on at your favorite cafe. 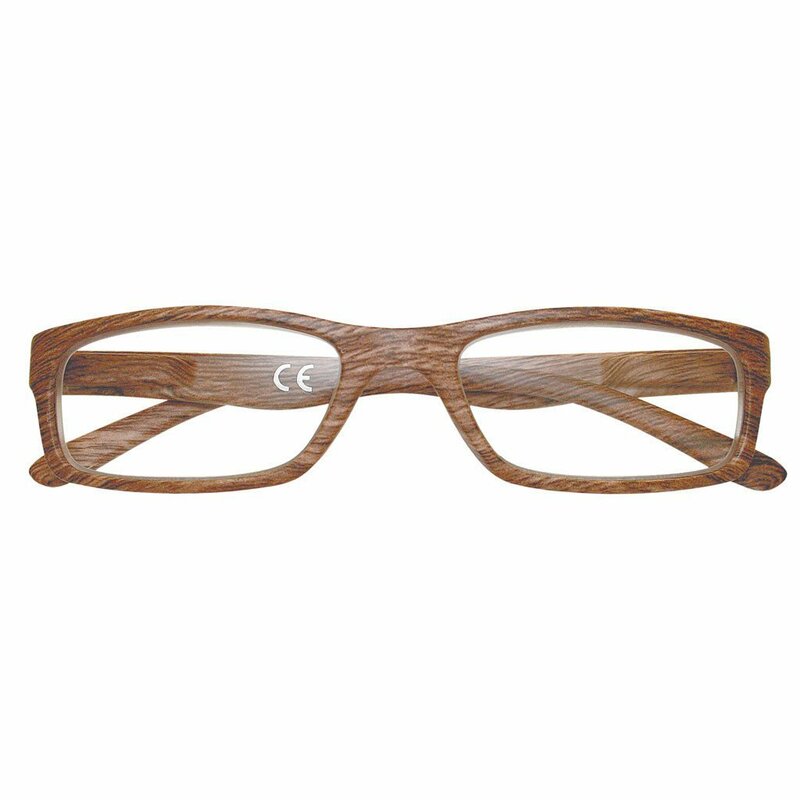 The contemporary frames on these reading glasses feature a woody appearance and a slender, rectangular shape. These readers come equipped with flex system temples: flexible arms that bend forward as well as backward in order to provide a comfortable fit for all head sizes and face shapes. ATTENTION: Ready-to-Wear, non-prescription glasses are not intended to replace prescribed corrective lenses or examinations by an eye care professional. Continuous eye check-ups are necessary to determine your eye health status and vision needs. These magnifiers are not intended to be a substitute for for corrective lenses; only a professional eye examination can determine your eye health status and vision needs. If you have experienced a vision loss, the selection of these glasses should not take the place of an eye exam.